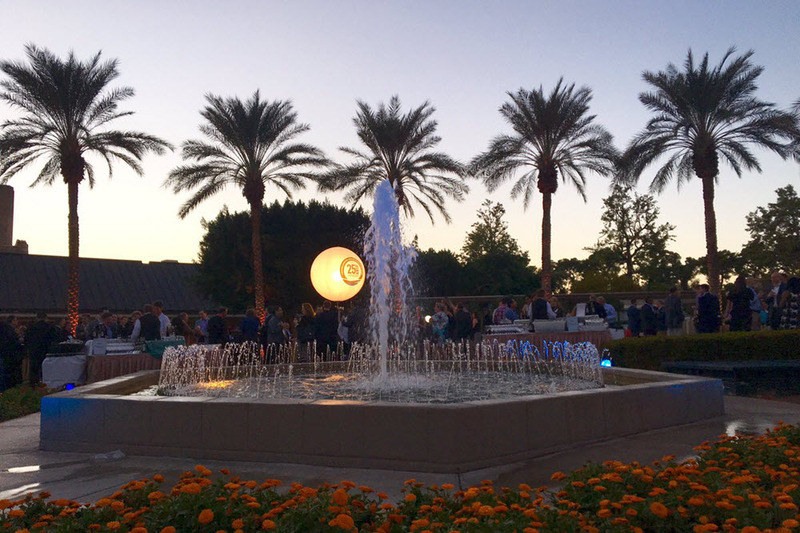 First and foremost, thank you to all of our 1Staff customers and visitors who stopped by our booth or attended our session at Staffing Industry Analysts (SIA) Executive Forum last week in Phoenix, Arizona! The 1Staff team had a great time networking and learning about where the industry is heading. The 2016 SIA forecast showed a slower growth pattern for the remainder of year when compared to the booming trend we saw last year. That said, the future for staffing is looking bright with a global market worth $411 Billion. It was interesting attending the break-out sessions and hearing from such a wide variety of thought leaders in the industry. There was lots of talk about the future of the staffing industry and how the fear of being ‘Uberized’ is a legitimate concern. In our break-out session, we had the opportunity to talk about “What to do before the robots attack?” and take a look into the future to see how you can prepare your business for the virtual wave that is coming. The 25th anniversary theme was in full force this year starting with the Keynote by Barry Asin, President of SIA (featured in the image to the left). 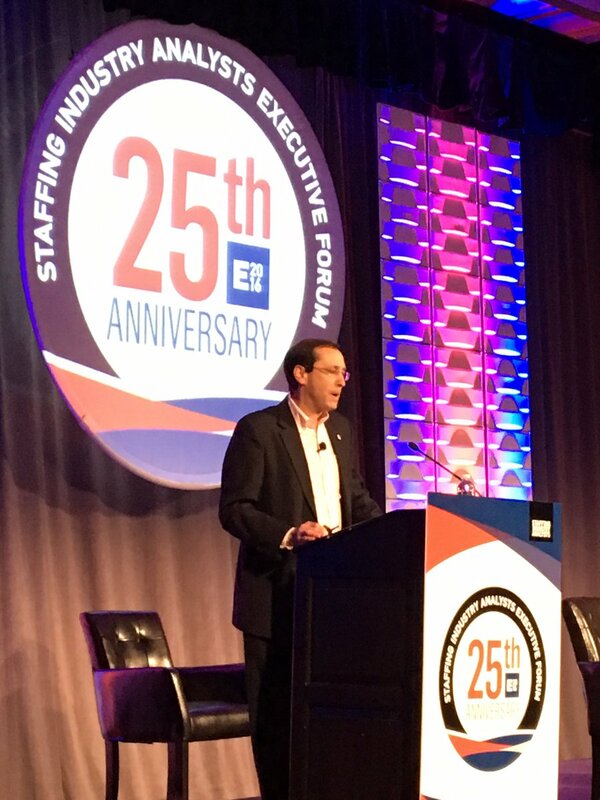 Barry provided the audience with glimpse into the past, spoke about how the staffing industry has grown over the past 25 years, and where he thinks the industry is heading. All the while covering what lessons need to be learned from the past to help grow your business in the future. Of all the session – Marcus Buckingham’s session on how to build strong teams and accelerate performance was one that stood out the most to us. His session was particularly interesting seeing that he highlighted that the success in the staffing industry does not rely on technology or robots, but in your ability to engage and motivate your work force, understand the strength and capability of every team member, and focus on near-term goals. Overall, it was a great week in Phoenix and the relationships the 1Staff team built were truly invaluable. Thanks again for stopping by the 1Staff booth and for attending our session! Image below: The 1Staff team attending our booth at SIA! From left to right: Brent Hitterdal, Karin Hart, Kristin Moreland, and Steve Ferhad.